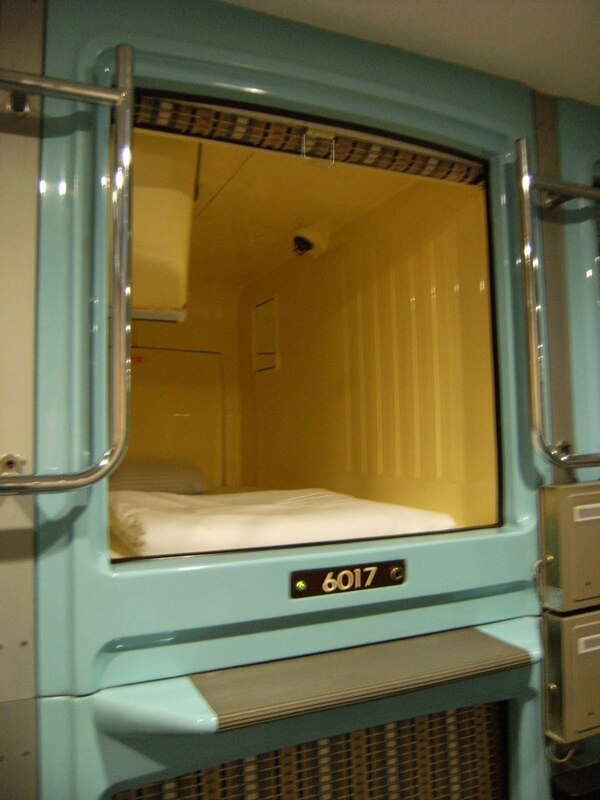 The capsule hotel in Tokyo. Due to formatting difficulties, the explanation appears beside the second photo below. 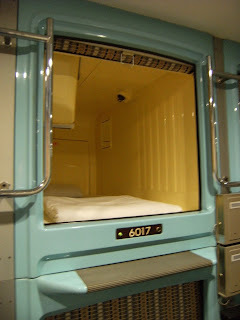 This was my bed for two nights in the Shinjuku area. 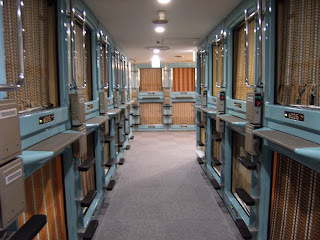 I stayed at a capsule hotel - which I understand is popular with Japanese men who have been out drinking and missed their last train home. It seemed to be just as busy on Sunday night as it was on Saturday. The capsule is two metres long and one metre in height and width. There is a pull down blind at the entrance/exit for privacy. It has a TV, radio and clock inside. For the two nights, I paid 4,300 Yen. That's less than I'd pay for a single night in a more traditional hotel. Just like in Kyoto, the hotel had a communal bathing area. All toiletries and amenities are provided. There is locker space for bags and valuables. Big bags can be kept at reception. Mine was the "upstairs" room 6017, with steps and a handrail to climb up into it. Just how wide is that gap.....would I get stuck?